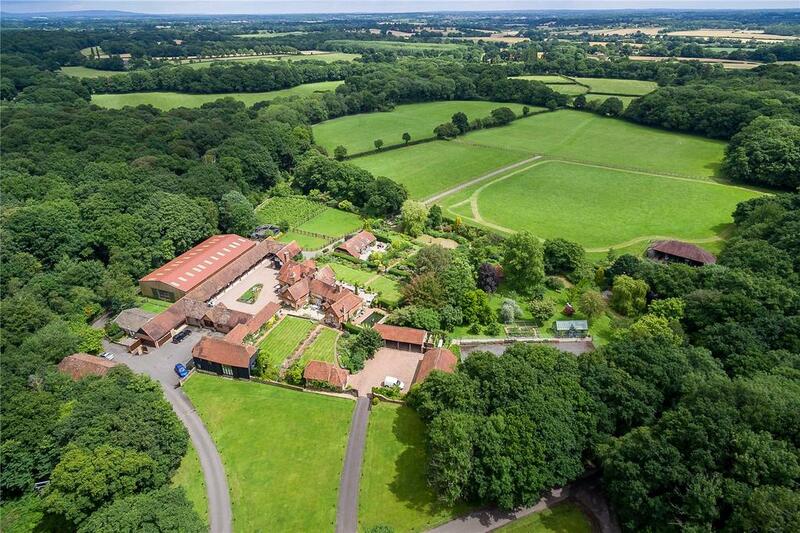 Set in the glorious West Sussex countryside, Crimbourne Stud in Billingshurst, now on the market for £4.25 million with Strutt & Parker, is an exceptional residential equestrian property that encompasses the best of both worlds: period living and first class equestrian facilities. 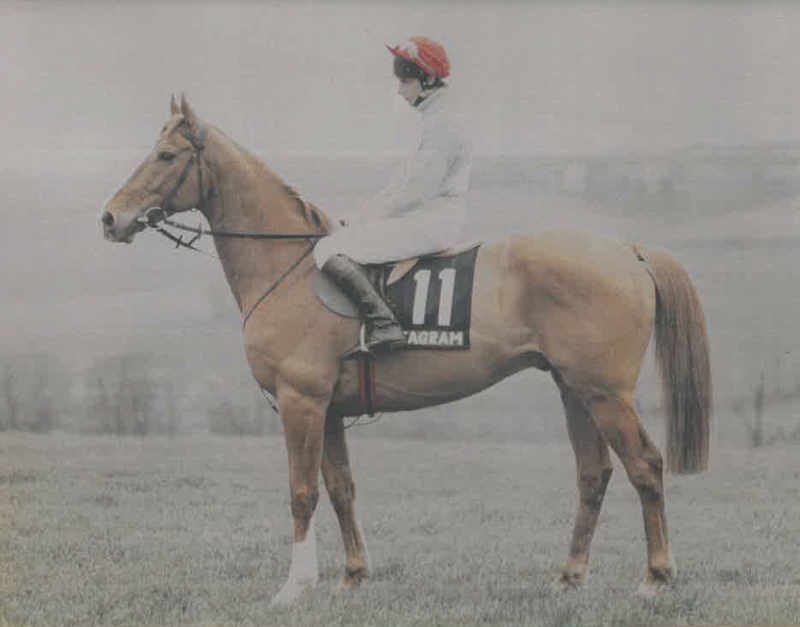 Crimbourne Stud was established in the 1950s by Jockey Club member Major John Baillie who bred the multiple Group-winning sprinter So Blessed who later took up stallion duties.  In the late 1980s, the stud was bought by Sir Eric and Lady Parker, who embarked on an extensive refurbishment project on the 15th century house and the ancillary accommodation and the historical yard and equine facilities and paddocks. Since the original refurbishment, Crimbourne Stud has continued to flourish, with the addition of more stables, an indoor school and turnout unit, new staff accommodation and new leased paddocks adjoining the stud. Today, Crimbourne Stud boasts an attractive stable courtyard with 16 loose boxes (including two foaling boxes and a vet box), a secure tack room, feed room and machinery store. There are also a further six isolation boxes, an indoor manège (110’ x 57’), indoor turnout and an open horse walker. 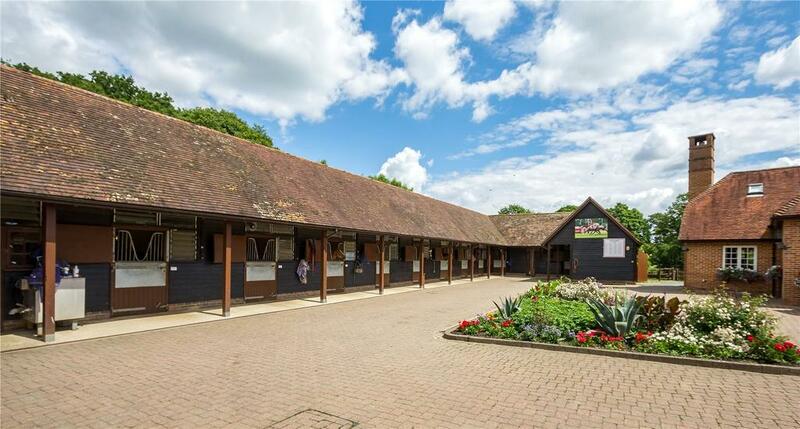 The superb facilities, calm setting and lush grass combined with smart management has resulted in well over 200 individual winners to have been born and bred at the Sussex farm, including Indian Lodge, Moonlight Paradise, Eradicate, Roz, Oh Goodness and Havana Gold. Crimbourne Stud has also provided a relaxed retirement home for some first class national hunt horses owned by the Parker family including the 1991 Grand National winning hero Seagram, the two time Whitbread-winning Topsham Bay, and the multiple winning national hunt horse Got One Too. 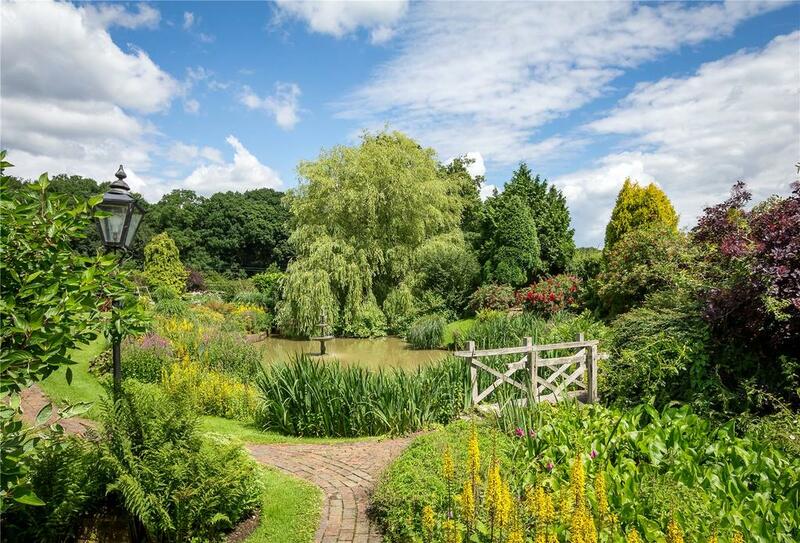 The gardens and grounds have also been developed over the years to become one of the most famous in the Sussex area where they are viewed once a year at the annual open day and provide a sublime back drop for viewing of that year’s crop of yearlings. 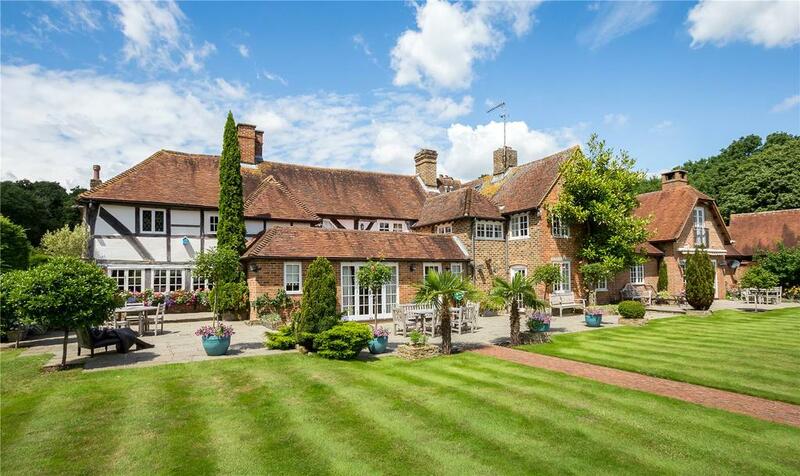 Within the 48 acres of the estate lies the Grade II listed farmhouse, which originally dates from 1450. 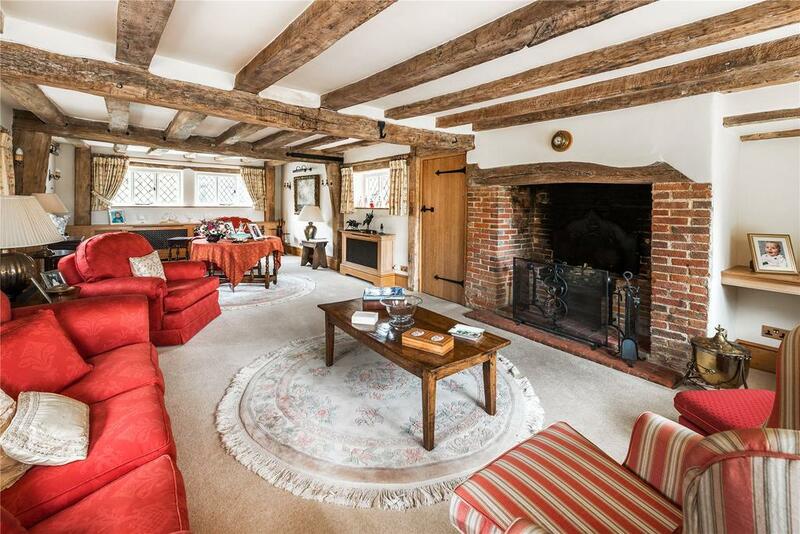 Part timber-framed, the property boasts four bedrooms, five reception rooms and a guest annexe, immaculate gardens and grounds including ponds, a gorgeous indoor swimming pool and sauna and a tennis court. 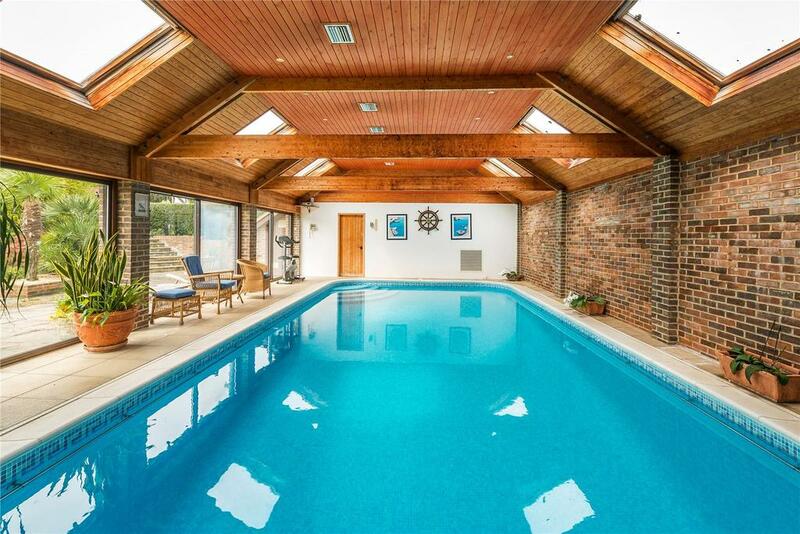 The estate also boasts an additional three-bedroom barn conversion, one-bedroom cottage, two-bedroom bungalow and a pair of semi-detached bungalows. 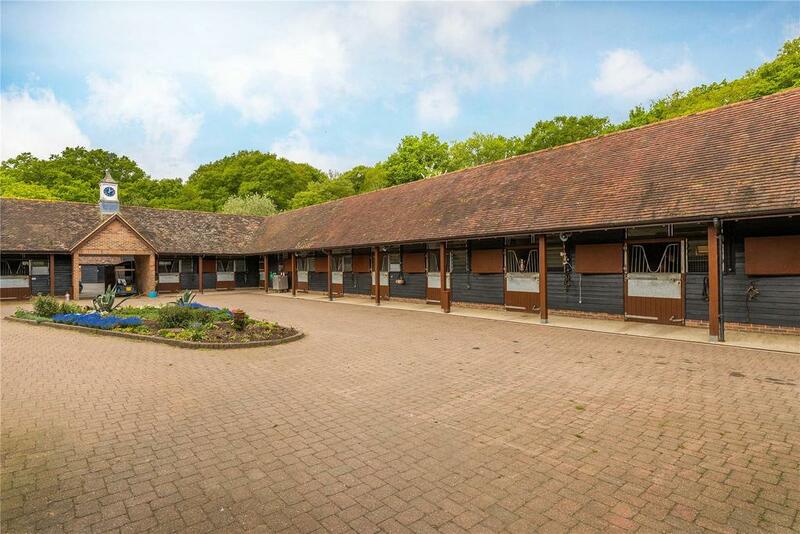 Situated just 4 miles from Petworth, Crimbourne Stud is ideally located for equestrian enthusiasts – outwith the grounds of the Stud there is excellent hacking along the bridleways over the nearby South Downs, polo at Cowdray Park and racing at Goodwood. Perfect. Crimbourne Stud is on the market with Strutt & Parker – see more pictures and details.